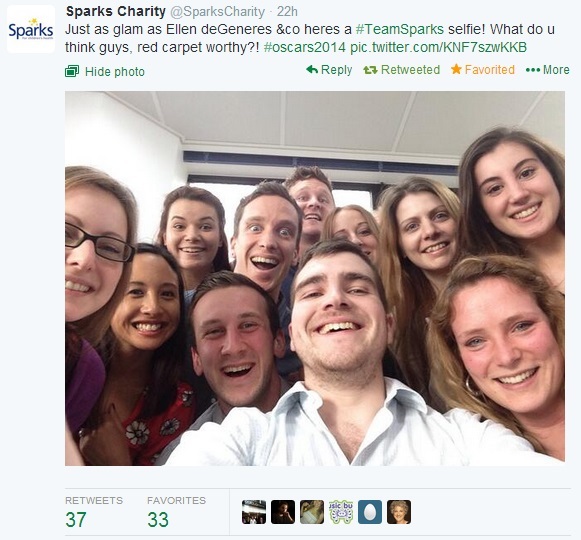 You know that Ellen DeGeneres Oscars selfie? The one that broke the record for most retweeted tweet since Obama’s ‘Four more years’. You’d have to be buried in sand to have missed it. 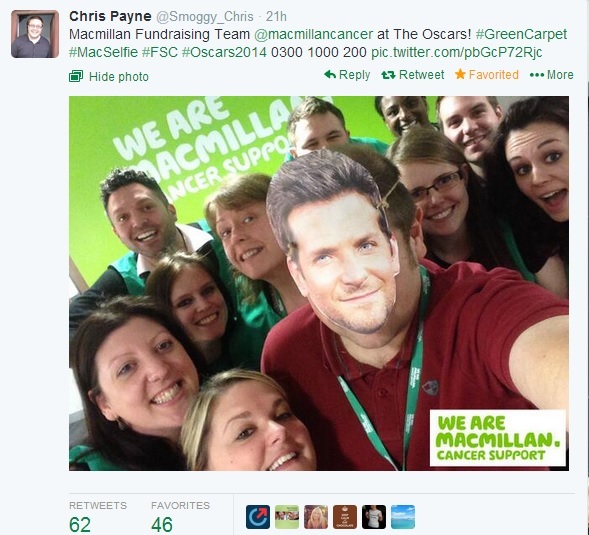 Macmillan’s fundraising team posted this one and it was obvious at least who Bradley Cooper was! 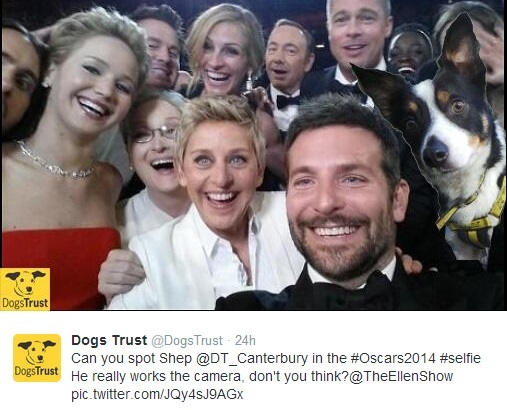 Dogs Trust took a leaf out of Benedict Cumberbatch’s photobombing book and posted this beauty…. What I love about this is how these charities quickly recreated a hot trending topic without having to spend any money or much time. It shows that charities can have a sense of humour and even though they exist for very serious reasons, we all need a bit of light relief at times.